1. 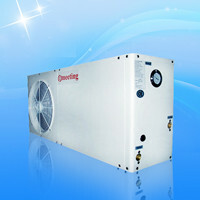 With Advanced inverter technology, it saves 40% energy than normal heat pump in practical operation. 2. Manage heating, cooling and hot water, fits your need all year round. 4. 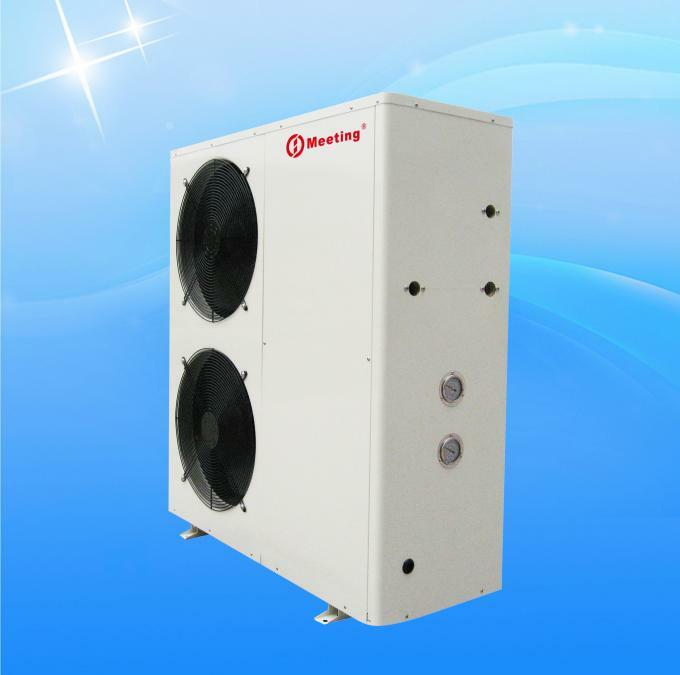 Automatically variable fan speed to optimize heating efficiency. 5. Can work with room thermostat or master controller. 6. 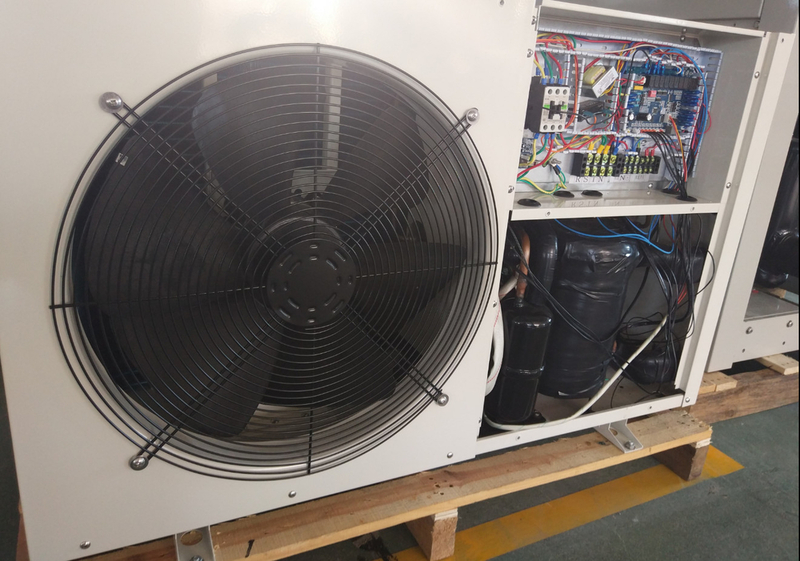 Can work with auxiliary heater. 7. Split design with water system indoor, preventing water frozen problem. 8. Easy wire connection, simplifies installation and avoids mistakes. 9. With controller interface, plate heat exchanger, circulation pump, flow switch, water pressure gauge in indoor unit. 10. Allows absence of buffer tank. With advanced DC inverter technology, saving 40% electricity than normal on / off heat pump in practical operation . The whole system is optimized with variable fan speed, while the temperature compensation function contributes to a more comfortable indoor environment. Payment terms:T/T, 30% in advance, 70% balance before shipment. Delivery time: 20 working days after deposit, right away after balance. At every stage, from raw materials to the end products we insist on results: safety, efficiency, energy conservation and environmental protection, and our rigorous testing ensure that we reach standards higher than similar products from international manufacturers. We want consumers to depend on the precision and reliability of our Meeting Heat Pump machinery. Entertainments Movie theaters, clubs, bars, cafes, Internet bars, beauty shops. Q: What kind of Technical support Eurostars can provide? 1. Set up customers file, and arrange professional sale engineers to introduce company products and services to customers in detail. 2. If customers are interested in our products, we will send professional technicians to survey the installation environment. 3. Make the solution according to different customers' requirements. 1. Machine installs and test by qualification engineers. 2. Ensure all the products we provided are qualified and new. The working life of the main engine is 15 years. 3. Construct and install the heat pump according to national relevant policies strictly, and ensure high quality delivery on time. 4. Test and debug the equipments strictly to ensure the safety and stability. 5. During the delivery, provide comprehensive and professional technical training on instructions and maintenance to customers. 1. We promise to offer free consulting call in 7×24 hours mode to solve the problems found in practice. 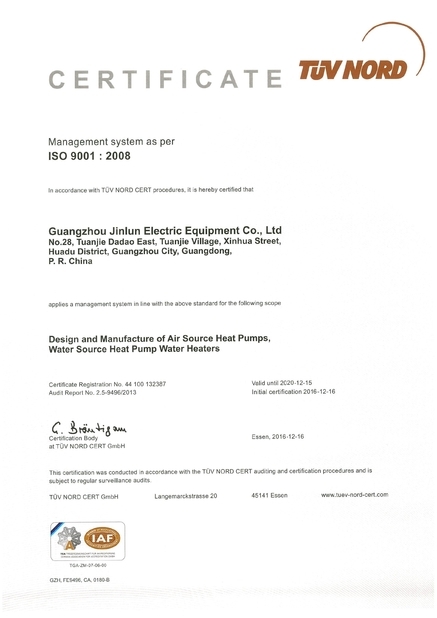 5).We are the one of the first manufacturers whose heat pumps are with top COP gaining grants from Chinese government.